There are many different industries that benefit from the advantages of using aluminum for parts, components, and various products. One of the sectors that is growing in its use of aluminum is the furniture industry. 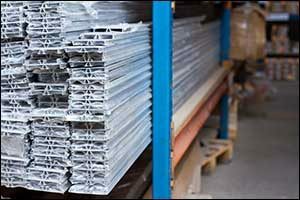 There are many different types of furniture that use aluminum extrusion design. Standard and custom extrusion dies can help to create a better quality product that is designed to provide long-lasting, durable results to the end user. Whether for consumers or professionals, manufacturers count on quality aluminum extrusion companies like Silver City Aluminum to help them prevent corrosion through design, create quality parts, and maximize the return on their investment. The difference between standard or “stock” and custom extrusion dies is that the custom version is designed to specifically meet the needs and requirements of the customer. Custom profiles can be created from a standard die starting point and changed to provide extra benefits and advantages to the finished product. While standard profiles do have a lot to offer and are used frequently in furniture manufacturing situations, there are many reasons to choose custom aluminum extrusion design. Working with the right company is essential, especially if you require custom solutions or tight tolerances for success. Silver City Aluminum is a custom manufacturing company that offers furniture industry businesses the unique ability to design aluminum extrusion profiles that will help to enhance their offerings and create more reliable, durable, and unique products for their customers. Whether you design furniture for home use by consumers or corporate situations for professional clients, there are many advantages of using aluminum for this particular industry. Aluminum can be used in just about any environment, climate, or situation, providing long-lasting strength, aesthetic appeal, and cost-effective solutions. The use of aluminum extrusion design in the furniture industry can yield some pretty incredible results. Partnering with Silver City Aluminum allows you to employ a team of experts without having to recruit staff, maintain training, and invest in extrusion machinery. In addition to standard and custom aluminum extrusion, we do post-extrusion operations, including custom finishing solutions, in-house at our New England facility. This allows us to ensure greater quality control, shorter lead times, and provide every customer with the services they require without compromise. From CNC fabrication to custom assembly services, you can count on our team to delivery aluminum extrusion that will exceed your expectations. When you call Silver City Aluminum to discuss your needs for aluminum extrusion design, we take care of everything from the initial development phase of custom extrusion dies all the way through fabrication, assembly, specialized services, and finishing solutions. Whether your goal is to embrace the advantages of using aluminum and prevent corrosion through design or create a custom framework for innovative industrial design, our team can help you every step of the way. Give us a call at 508-824-8631 or use our online contact form to reach out to one of our team members about your order.